Bail Bonds Service in Santa Ana, CA – Get Real Help Now! At Angels Bail Bonds we provide services and free information about a bail bond. Each bail bond agent from our organization has provided competent bail services to numerous clients in Orange County. Our bail bondsman understands the importance of providing prompt bail bonds and our experience helps us provide you with a fast bail bond. Get Real Help from a Local Bail Bonds Company. Call Us Now! In Search of an Experienced Santa Ana Bail Bonds Agent? If a time comes when a loved one has been arrested and calls on you, Angels Bail Bonds is here for you. With over fifty years of experience in the business, you can be confident that our knowledgeable and helpful staff will be happy to help you. Rest assured that we will maintain the strictest privacy while guiding the defendant’s family through the necessary steps. We are open 24/7, allowing our staff to respond in minutes. The process of bailing a friend or family member out of jail, while initially daunting, is fairly straightforward. If the person cannot afford the bail, they will need the services of a Santa Ana bail bonds company. A small fee is paid to the bondsman, who then assumes the responsibility of the full bail amount. Payment Options. We accept all forms of credit cards, cash, check, and bitcoin. Exclusive Financing Options. We offer a broad range of financing options, specific to each case and situation. Call us to see what we can do for you. 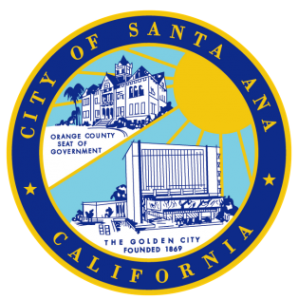 Santa Ana is the county seat of Orange County. It is densely populated and ranked as the 4th safest city in the US with a population over 250,000. The population is estimated at approximately 334,000. Santa Ana is situated 10 miles from the coast. The Santa Ana River runs through the west end of the city. The police department and jail buildings are connected. They are located at 62 Civic Center Plaza, Santa Ana, CA 92702. The jail is located at the corner of Boyd Way and 6th St. Public parking is available in the structure across the street from the jail. There is a fee for parking in the structure and parking will not be validated. For more information please check out the Santa Ana Police Departments website. For information on an inmate at the Santa Ana jail visit this website, or the Orange County jail visit this website. 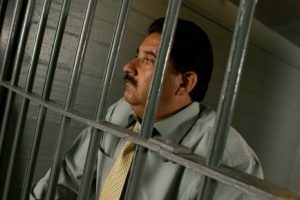 Your Santa Ana bail bonds agent may be a better choice for navigating the most recent information about a particular inmate. Crime Statistics. The crime rate statistics for Santa Ana show that it is considered safer than 36% of the cities in the United States. Out of 7,103 crimes reported in the last year, 1,309 were violent crimes and the rest were property crimes. Theft is the most reported non-violent crime, while assault is the most reported violent crime. Most common crimes requiring our services include DUI and domestic violence, (battery, penal codes 242, 243, 245, 273, 236, corporal injury of spouse) . Get Real Help from a Licensed Santa Ana Bail Bonds Company. Call Us Immediately!